My stepdaughter got her drivers permit a few weeks ago and I have been teaching her how to drive. Raising a stepdaughter is much like learning to drive. With both you have to have a huge dose of patience. You encounter many hills you have to go up and down with learning to drive and with raising a stepchild. Sometimes you make a wrong turn and go down the wrong road with both situations. You pray to our Almighty God for strenghth in either of these situations. I am really enjoying teaching my stepdaughter how to drive. It has really been fun and has allowed us to get to know each other even more. I feel that you have to have somewhat of the same attitude with raising a stepdaughter. I am enjoying raising my stepdaughter. She is changing into a beautiful, smart and confidant teenager. I strive to teach her to appreciate and enjoy each new day God gives to us. I want her to know that God is her strenghth daily and he will guide her as she drives down the road of life. I pray that God will mold me into a blessing for her. On this drive and journey I give my God all the glory, without him I would be nothing. Thanks for the abundant life you have given me!! My parents divorced and remarried when I was about 17, so I know what it's like to be on the other side of the step-parent relationship. Best wishes to you, and just remember that the teenage years will pass. I'm great friends with my step parents these days! 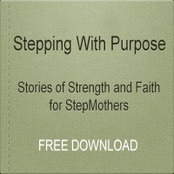 A stepmoms journey is never ending.I am forunate to be married to an awesome loving caring woman. Jackie is my best friend.I cannot tell her or express myself enough to show her how much I love her. She is very unselfish. Jackie is always putting my needs and everyone elses needs in the family ahead of her own, that she rarely has any time to make for herself. My daughter is very blessed to have such a wonderful influence such as Jackie in this time of her life. There are so many things she has been able to teach her and show her that I, as a dad would have never be able to do. With Gods guidence and Jackies help I have become a better parent to my daughter as well. God truly sent me an angel,and I am blessed beyond any words for what God has done for me when he brought Jackie to me.